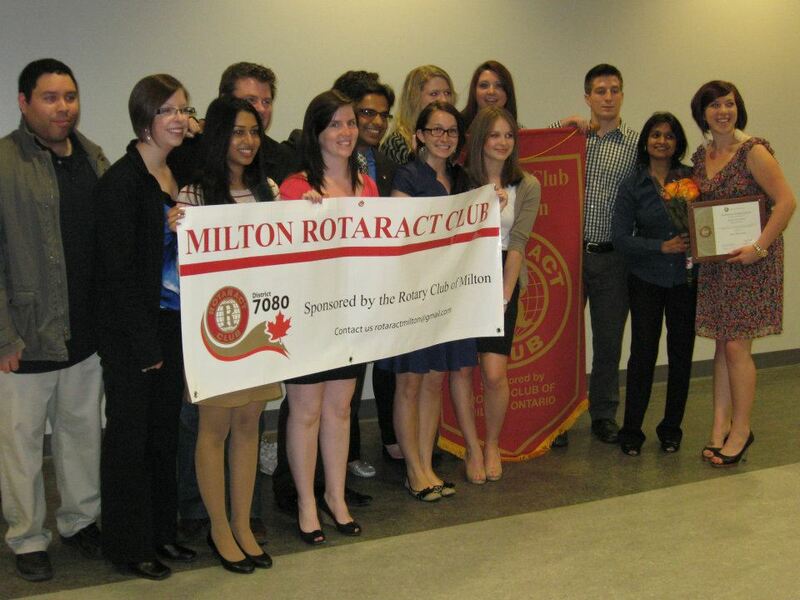 On May 14, 2012, the Rotary Club of Milton was pleased to welcome the addition of a new club designed specifically for 18 to 35 year olds called Rotaract. The group's charter celebration was a part of Rotary's annual awards night at the Milton Sports Centre. Rotaract is a non-profit service club for students and young professionals. The club embodies principles of Service above Self. Rotaract clubs are either community or university based, and they’re sponsored by a local Rotary club. There are more than 8,200 Rotaract clubs in about 170 countries and this is ever increasing, as Rotaract has become a worldwide phenomenon.